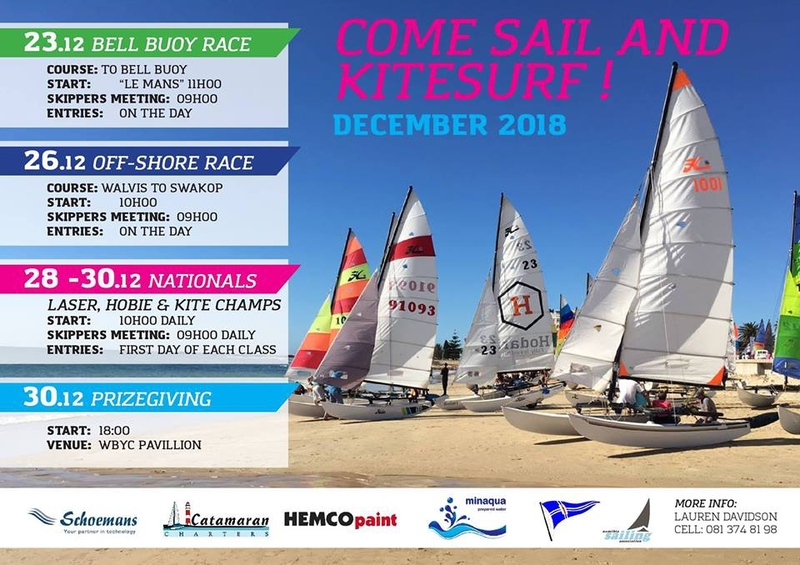 The Walvis Bay to Swakopmund OFF SHORE RACE will be held on the 26th of December 2018 at the Walvis Bay Yacht Club. START: The first possible start will be at 10h00. The normal 10 minute countdown starting procedure will apply. COURSE: The course is from Walvis Bay to Swakopmund. Details will be obtained at the skippers meeting. SKIPPERS MEETING: At 09h00 at Walvis Bay Yacht Club breakfast will be served for those who wish to eat. ENTRIES: Entrance forms available at the Regatta Office on the day of the event. CLASSES: Race is open for ALL Classes.